 Hotel Gino Park Palace**** housed in the Orlean mansion building, built in 1612 by the Hungarian nobleman Zigmund Balassa. Originally, it was a renaissance one-storey vault that was supposed to be a promise of a new modern and comfortable home for the noble family of the Ballas, which the cold and inhospitable Považský Castle could no longer afford. It was quite common during this period that the aristocracy left the castles – stone unreachable forts, whose defensive function lost its significance and built up modern and comfortable family mansions in the countryside and in the city. The heat was known during this periodZsigmond Háza, known as Zigmund’s house. At the beginning of the 18th century, the tower was transformed into a two-storey four-winged manor house. Another important owner who fundamentally influenced the appearance of the manor house was Pavol Balassa, the founder of the founder. Together with his wife, Juliana Batthyana, in the first half of the 18th century, the manor house was rebuilt in a Baroque style. During this period, the park and the courtyard with the fountain also grew. We read about this reconstruction from the memorial sign above the manor entrance portal. Earl Pavol Balassa had a very good relationship with the Maria Theresa ; church, which visited the manor house. In the mansion there is still an armchair on which Mary Terézia sat down. In the passage of the entrance portal of the mansion we can see the alliance coat of arms of the Balassa and Bathyány genera. Both family coats join the imperial crown, expressing the thanks of Mary Terézii and the imperial court, which Balassovcom confirmed the title of the Count. The most valuable parts of the manor house include the late-baroque chapel Sv. Ján Nepomucký with a rococo interior, built between 1770 and 1780. The chapel occupies the height of two floors in the west wing of the manor house. The Balass family had this magnificent family home for 250 years. Later, the manor moved to several owners, not everyone benefited from it and its surroundings. One of the attractions is the fact that at the beginning of the 20th century the castle was owned by the world-famous Czech violinist and composer for several yearsJan Kubelík. The last two-year reconstruction of the manor house, resulting in a four-star hotel, was praised by Dr. Nodari Giorgadze.